Helps even out skin tones, soften blemishes and give a sun-kissed look. May be applied either on top of your usual moisturiser or mixed in. It can also be mixed with Body Moisturiser and applied to the body to give a more bronzed hue. Dr Hauschka Translucent Bronzing Tint softens the appearance of the skin, it smoothes the skin, giving a more even colouring. It is transparent enough to keep the skin's individual character recognisable and can be used in place of a foundation. 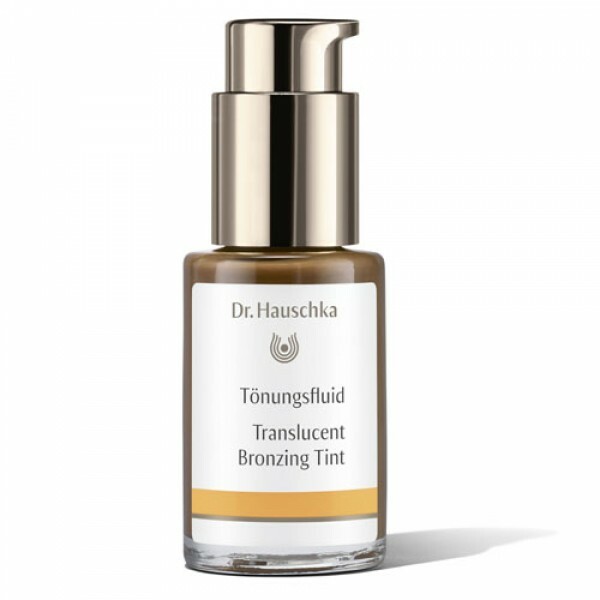 Translucent Bronzing Tint is the new name for Dr Hauschka Translucent Bronze Concentrate the formulation is the same even though the packaging has changed.